It never easy to take the road less travel. And I am trying my best. And I am learning to enjoy it. And I need go on for EnHui. A reader of my blog sent me this poem. Thank you very much, Trisha Pathak. I love the poem. The Road Not Taken by Rober Frost.
" Tambourines and Treacle Tarts! " 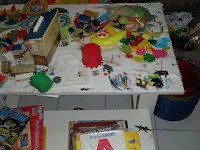 She decorated her bed frame and added a 'cupboard' for stationery. Two tables from the study room has been shifted to the bedroom. Though I noticed she was decorating her room, behind close door, the day before, never did I know the changes was this much. Oh my. I was about to blow up.. then I saw her drawing. 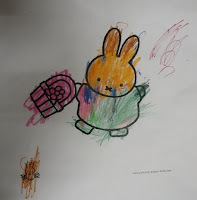 It is such a happy drawing, with the caption "I LOVE TO PLAY"
That must be Hui's drawing. It is a rainbow. She has been trying to paint rainbow lately. 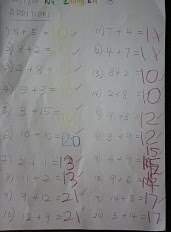 Then, I saw she completed another piece of sums. Dad's drawing. Impressive. Never attend art class at all. I think maybe she needs her table in her bedroom. I decorated my own room.. and why not her. It is really not easy to deal with the mess that EnHui creates. Me being partly OCD takes longer time to clean and make sure things are okay. I am learning hard to deal with it. (1) I must love it, love it, love it. or (2) Be mad and scream. Option (2) is not an option. Hence, I must love and live with mess for the sake of creativity play. 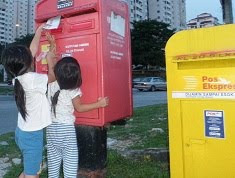 Today, En showed Hui how to post a letter. Is it going to reach aunt ? The envelope is decorated with dangling ribbons and many stickers! The content is a piece of En's drawing with Tux paint. Our rain gauge, put up on Wednesday. So far, no rain is collected. I saw this thermometer at a bookstore and bought it. Barbie has a cozy room with bed, closet and shower. by En. It is my first time at Istana Negara! Change of Guard is daily at 12pm. 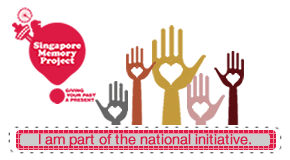 Direction : Head to Jalan Istana ( Istana Negara on your right side). Go straight pass Istana Negara. 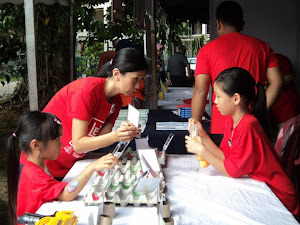 You will come to a fork, take the right one with the "Pusat Bandaraya" signboard. Immediately keep right and make a U-turn back to Jalan Istana. Park by the side of Istana Negara. En asked "How do we know if King was inside or out? " I told her to look for a flag, if it's up, he is in and vice versa. Hui is more interested with the flowers and complaint of smelly horse & hot weather. Here comes the guards. This is the lane where we parked our car. Off late, Hui is hooked to Dr Seuss. Tonight I read Ten Tall Tales by Dr.Seuss (Dr Seuss) . When we reached the 6th tales "What was I scared of ?" , she commented "nothing". As I read, she pointed to the pants with nobody inside & said "Beat it up !" En covered the book and told me to stop. Hui came out & asked "why there is nobody in the pants? Let's check the computer!" Later on, I asked "if she wish to stop" or 'Shall I continue to read and find out?" Hui questioned "why they could say 'Hi' to each other? " I said "They have accepted each other differences"
The 10th tales, "Yurtle the turtle" made EnHui burst with laughter ! Hui said "Again". I was made to read the 191 pages again. En just completed Cut-throat Celts Sticker-Activity Book (Horrible Histories) . She did Rotten Romans Sticker Book (Horrible Histories) , Dark Knights and Dingy Castles Sticker-Activity Book (Horrible Histories) ,Terrible Tudors Sticker Book (Horrible Histories) , and love Savage Stone Age Sticker Book (Horrible Histories) the most. When she does topics that she likes, enthusiasm and concentration comes naturally. Cutting & pasting from paper craft book..
Dad & En @beach, Duyong Restaurant. Yes ! We were back to Cherating. The journey that took approx 3hours (to Ruby's Resort) reminded me of the great moments we spent with aunty June & family at Cherating last month. For direction, after Jabor toll, you will see a signboard above you "Trengganu/Kemamam", just follow that sign and you will come to another highway. Go straight till you see a flyover bridge, take a left turn (before flyover bridge) and left again (follow Kemamam sign). From here, straight road to Cherating and Ruby Resort. When I stepped foot at Ruby's, the "home again" feeling was so great. It was awesome! Left- Hui @Ruby's beach. Right- a dog trying to join our group photo. I woke up by the sound of roosters crowing and birds chirping. The air was crisp, cool and fresh. And I saw grand aunt doing Qi Gong. That's our Margosa dormitory of 10 bunk beds, located at the end of Ruby's Resort, surrounded with trees, for our group of 10 adults and EnHui. Hui asked "How long is En going to come back? ..(paused).. I love En." En wanted to sleepover at grandma's , hoping to catch the first glimpse of uncle Vich when he arrives. This is her second sleepover. Hui misses her at home. En sew around a piece of tissue paper that stuffed with tissue papers and hang it up at the closet's knob as deco ! 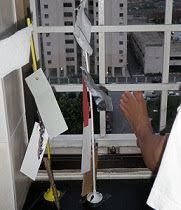 A simple home wind detector to measure how hard the wind is blowing. a thick cardboard, thin cardboard, tin foil, writing paper & tissue paper. Early in the morning, En asked dad for more sum. After writing it down, dad left for work. Did you just peep too? A great change since her first attempt 5 days ago. Totally self-directed. 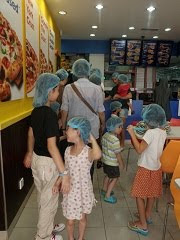 Our group of 7 mothers and 13 children, aged 2 to 12 visited Domino Pizza @Neo D'sara. 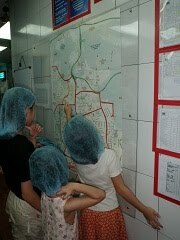 Left- We were required to wear hair net before stepping into the kitchen. Right- En was shown how to twist twisty bread by the store manager. Left- Let's twist. Hui rather sat on the kitchen top than getting her hand sticky! Left - The delivery map. En said to Fara & Hannah, "This is Ikea, this is Curve..."
Right- In the midst of it, Hui decided she had enough & ran out to the sitting area. Bye Hui. Left- The bread slid into the oven slowly. 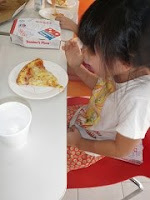 Right- Pizza for breakfast ! 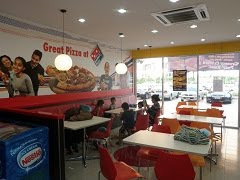 Our first time. Souvenir from Penang 12 June 2010.